The black middle class has been hit particularly hard by the recession; many of the economic gains earned over 50 years disappeared between 2007 and 2009. The foreclosure crisis, lack of accumulated wealth and the role of a college education in boosting job prospects have all contributed to the decline of the black middle class. Another big factor: cuts to government jobs. Much of the black middle class was built upon public sector jobs, which for decades allowed African Americans to circumvent discrimination in the private sector. Reducing unemployment among D.C.’s young people will help reduce crime, according to a new report by D.C. think tank Justice Policy Institute. 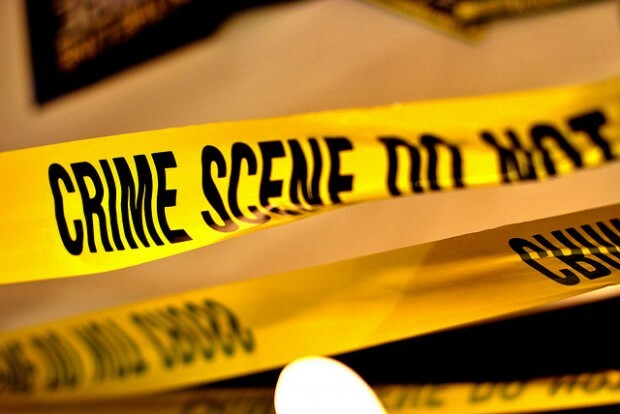 The group, whose mission is to lower the incarceration rate, found that neighborhoods with high crime rates also have high unemployment rates, particularly among young people. 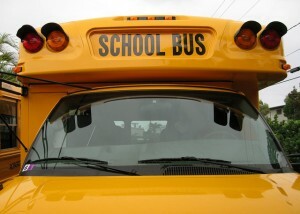 A previous report found a similar connection between boosting education levels and public safety. 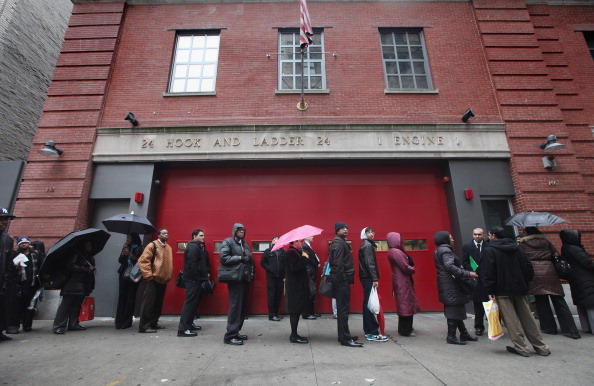 Job seekers wait in line to attend a job fair in New York City on Jan. 26. The national unemployment rate remains unchanged at 8.3 percent, but unemployment dropped slightly for whites while it rose for African Americans and Hispanics, according to data released Friday morning by the U.S. Bureau of Labor Statistics. Unemployment among whites dropped from 7.4 percent in January to 7.3 percent in February. For blacks, it rose from 13.6 to 14.1 percent. The Hispanic unemployment also slightly rose, from 10.5 to 10.7 percent. The bureau doesn’t have seasonally-adjusted unemployment data for Asians. Unemployment among immigrants rose from 9.7 to 10 percent while it dropped for U.S.-born citizens, from 8.2 to 7.8 percent. Although overall unemployment didn’t change between January and February, the economy did see the addition of 227,000 new jobs. Unemployment didn’t drop largely because more people entered or returned to the labor market after giving up looking for work. The rate measures how many people in the labor market don’t have jobs. 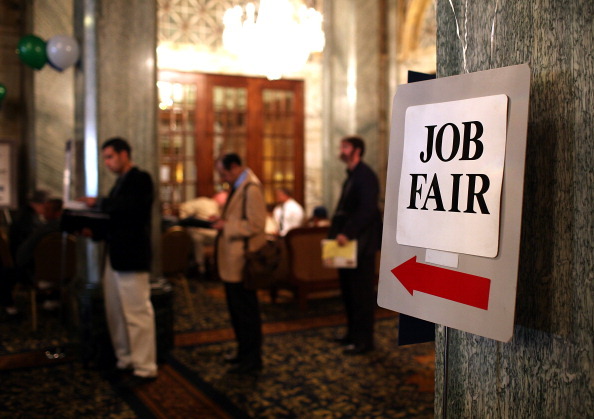 Data on local unemployment rates, including D.C., will be released Tuesday. The latest unemployment figure for D.C. is 10.1 percent, higher than the national average. 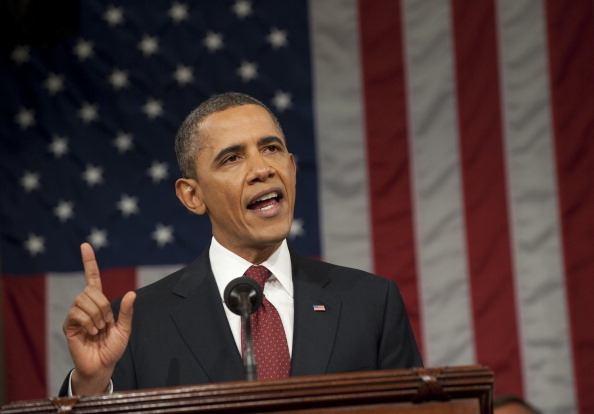 U.S. President Barack Obama delivers his State of the Union address before a joint session of Congress on Capitol Hill. President Barack Obama devoted much of Tuesday night’s State of the Union address to leveling class disparities between the middle class and the very rich. He didn’t embrace the rhetoric of the Occupy Movement – namely that 99 percent of Americans are suffering while 1 percent hold the wealth. But the president did say that 98 percent of Americans make less than $250,000, and that their taxes shouldn’t go up. Raising taxes on the wealthy is an issue with local relevance; the D.C. Council in 2011 narrowly approved a tax hike on those making $350,000 or more a year. President Obama pushed for a resurgence of American manufacturing to combat joblessness. He also said there are available jobs in the technology and science industries, but not many people are qualified to fill them. Such a “skills gap” exists in D.C., where many of the unemployed lack the credentials needed to fill available jobs. President Obama made a “national commitment to train 2 million Americans with skills that will lead directly to a job.” That commitment may be easier said than done. D.C.’s job training programs have been fraught with problems and don’t always lead to jobs. There are current efforts underway to reform them so such programs are more effective. Immigration also had a brief moment during the State of the Union address. Deportations have reached record levels under President Obama. He called for “comprehensive immigration reform” but failed to give specifics. He did, however, urge the passage of the DREAM Act, which would create a path to citizenship for undocumented college students and soldiers. Those of us who’ve been sent here to serve can learn a thing or two from the service of our troops. When you put on that uniform, it doesn’t matter if you’re black or white; Asian, Latino, Native American; conservative, liberal; rich, poor; gay, straight. When you’re marching into battle, you look out for the person next to you, or the mission fails. When you’re in the thick of the fight, you rise or fall as one unit, serving one nation, leaving no one behind. Do you think race should have been more directly addressed? What are your thoughts on Tuesday night’s State of the Union address? You can read the entire speech here. One reason why some parts of D.C. have such high jobless rates is that many of the unemployed lack the skills and credentials to qualify for D.C.’s jobs. While most available jobs require a bachelor’s degree, 21 percent of people living in Ward 8 haven’t even completed high school. The causes and consequences of dropping out are often intertwined. Low-income students are more likely to drop out, which means they can’t get jobs that pay well and continue lives of poverty. Four generations of Walker’s and McMillan’s family haven’t graduated from high school. They have many of the risk factors for dropping out, including learning disabilities, teen pregnancy, and drug abuse. And it’s not clear whether or how the cycle could be broken. The story, which you can read here, is the first of a nine-part series. WAMU 88.5′s Patrick Madden has been reporting on the ineffectiveness of past D.C. job training practices and changes the city is making to how it prepares residents for jobs. His investigation revealed that much of job training money went to training people to be bus drivers and Metro train operators. But such training programs haven’t resulted in graduates getting jobs. 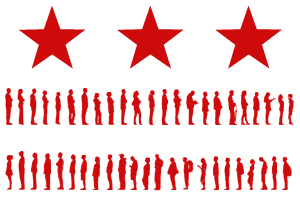 DCentric has previously explored the causes behind D.C.’s unemployment disparities. One major reason is the mismatch between the skills people have and those required by District jobs. For instance, unemployment is at 25 percent in Ward 8, where more than 20 percent of residents lack a high school diploma. Without effective job training, can that unemployment number go down by very much? But job training programs have to be done right. WAMU 88.5′s Patrick Madden reports on problems with the District’s job training contracts. In one instance, the city was paying double per trainee than what nearby states paid. In another, the District gave a job training school $500,000 to train 70 people. The school, which is no longer running, is now embroiled in legal troubles; a private consulting firm has accused the school’s owner of misusing funds. Such questionable contracts not only raise concerns over how the city uses its money, but also over the effectiveness of its job training system. 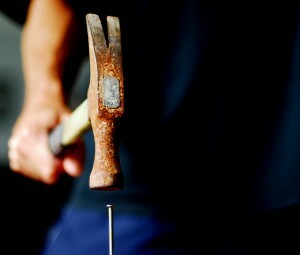 DCentric has written about individuals who had trouble finding work after completing such job training programs. Job training programs can be effective for some people, but such programs alone can’t reduce overarching unemployment disparities. For instance, 10 percent of D.C. residents have criminal records. For those individuals, no amount of job training can erase the challenge of getting hired with a past conviction. You can listen to Madden’s full report here. Job seekers wait in line to enter the San Francisco Hire Event job fair on November 9, 2011. National unemployment was 8.6 percent in November. The national unemployment rate dropped in December and 200,000 new jobs were added to payrolls, the U.S. Bureau of Labor Statistics announced Friday. Unemployment stands at 8.5 percent, down from 8.6 percent. D.C.’s unemployment rate dropped slightly to 10.2 percent in November as the District saw the addition of 3,200 new jobs. Despite the good news, the District’s unemployment rate is still higher than the November 2010 rate of 10 percent. December unemployment figures for D.C. aren’t available yet. 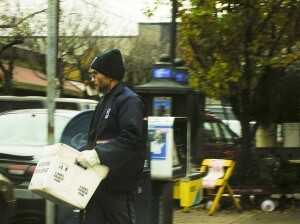 A number of reasons are behind the District’s higher-than-national-average unemployment rate. Joblessness is much higher in wards of the city with high poverty rates and where fewer people have college degrees. The gap between skills and available jobs, as well as the difficulty of finding a job for those with criminal records, have made it difficult to combat unemployment in the District. 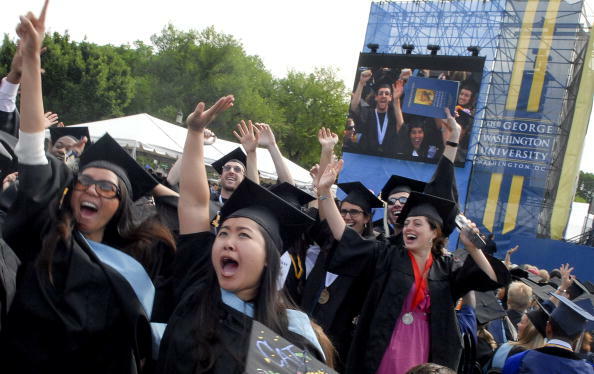 Students wave to video cameras during the 2010 George Washington University commencement on the National Mall. Your chances of getting a job depend greatly on your major. A Georgetown University study released Wednesday shows that unemployment rates among college graduates are highest for those who majored in architecture, arts and the liberal arts. Some want to address D.C.’s high unemployment by getting more District youth to go to college; unemployment is 26 percent in Ward 8, where half of adults stopped their schooling at high school. That’s the impetus behind a new D.C. proposal requiring all District high school students to take a college admission exam. But these unemployment figures show that simply getting a college degree won’t be enough to prevent you from being unemployed. There’s also a racial disparity: young black college graduates face double the unemployment rate than white college graduates.